Frances is about to start a week-long bike race with a group from her high school. She is not usually a bike race person, but she signed up with her best friend Stella, who is. But Frances is facing the race alone after Stella was hit by a car while training for the race. Before she was put out of commission, Stella made a list of ten crazy ideas she wanted to do during the week to make the race unforgettable. 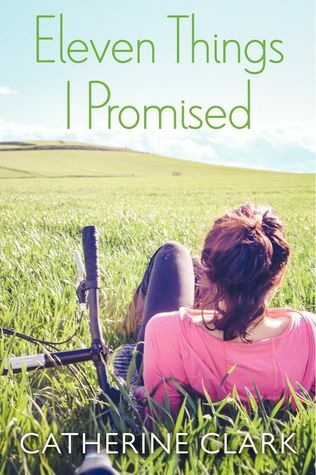 The items on the list are things that Frances wouldn't ever do on her own but she is determined to do them all to honor her friend and, she hopes, find a way to connect with her friend who has been acting very distant. This is one of those light, fun books that has some not very light notes to round it out nicely. I enjoyed Frances and the slow reveal on what, exactly, is happening with Stella. It is nice to understand about reviews before buying a book. I like this review by reading your post in this website and it is really interesting. Bike rising is my favorite thing ,so i surely will bring these. Thank you for posting.